North Korea is conducting activity “inconsistent” with its pledge to denuclearise, the commander of US forces in South Korea said yesterday. After Donald Trump’s first summit with North Korean leader Kim Jong-un last June, the US president claimed to have made progress towards persuading Pyongyang to give up its nuclear arms. However, a second summit between the pair in Hanoi last month broke down as the US called for denuclearisation and North Korea demanded relief from international sanctions imposed on it because of its nuclear and missile tests. Gen Abrams, who did not provide further details, had been asked if the US had seen a change in North Korea’s production of nuclear weapons, material and missiles. Gen Abrams also said that despite a reduction in tensions, there had been little to no verifiable changes in its military capabilities. 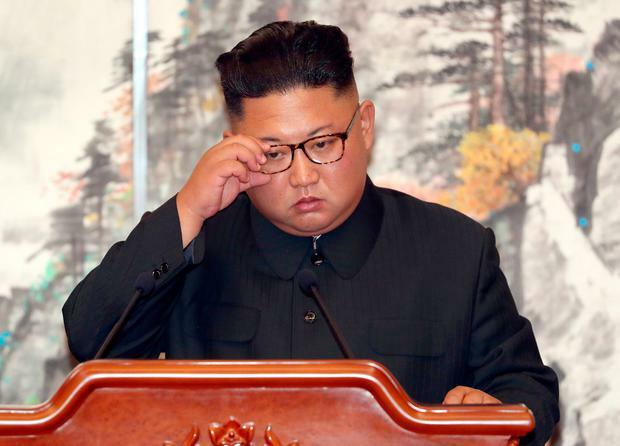 “North Korea’s conventional and asymmetric military capabilities along with their continued development of advanced conventional munitions and systems all remains unchecked,” he said. Early this month, American think tanks and South Korean officials reported that satellite imagery showed possible preparations for a launch from the Sohae rocket launch site at Tongchang-ri, North Korea. The site has been used in the past to launch satellites. There have also been reports from South Korea’s intelligence service of activity at a factory that produced North Korea’s first intercontinental ballistic missiles capable of reaching the United States.